This is the fifth post in my Women's History Month series, Legendary Latinas, in which I highlight the lives and accomplishments of influential Latinas. You can find the other posts here. Please read the disclaimer if you have questions about my sources; otherwise, ENJOY! "Everyone needs a strong sense of self. It is our base of operations for everything that we do in life." 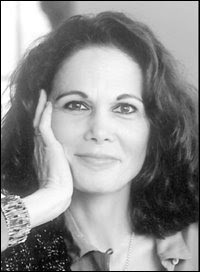 Julia Alvarez was born in New York in 1950. Her family moved to the Dominican Republic, where they lived until she was 10 when they were forced to leave due to her father's political activity. 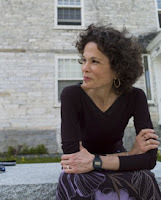 Her assimilation back in the U.S. was challenging, and she turned to writing and literature as a way to master the language and express herself. She went on to earn a Master's and teach English and Creative Writing in addition to her work as a writer. She also started a sustainable specialty coffee business with her partner, and lives with him in Vermont. She is a vegetarian and an advocate for environmental issues and sustainability. Alvarez has written several works of fiction, non-fiction and poetry over the past 20+ years. 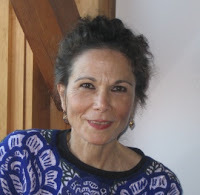 In that time, she has received several awards and honors for individual works as well as her work as a whole, including Notable Book selections through the American Library Association, and an honorary doctorate from CUNY John Jay College. "It's like my whole world is coming undone, but when I write, my pencil is a needle and thread, and I'm stitching the scraps back together." Some of the themes in Alvarez's works are Latin American culture, language, politics and revolution. Coming from a background of machismo, it's no surprise she has also explored several aspects of womanhood, including sexuality, motherhood, gender roles, and patriarchy. Her first novel, How the García Girls Lost Their Accent, tells the story of four sisters born in the Dominican Republic who have trouble assimilating when they move to the U.S. Obviously inspired by her own immigration, she captures the tension between the values of the old country and the new life a family must become accustomed to. She's written fiction based on historical figures in two novels: In the Time of the Butterflies and In the Name of Salome. She has also published three books of poetry, and a collection of autobiographical essays, Something to Declare. Although the main characters in her novels have been Latinas, she aims to write for non-Latinos and to have her work accepted by men as well. Despite this, she remains a great influence on other Latin American writers, particularly those who write about the balance between the old and new worlds, immigrant culture, and Latin American life. "A novel is not, after all, a historical document, but a way to travel through the human heart." Reading Alvarez's novels really impacted me when I was younger. Growing up as a Dominican immigrant is hard when so few people around you truly understand what you're going through. So the characters in her novels came to life for me. They were the companions I didn't have and shared the experiences few people I knew could relate to. Her writing is influenced by real experiences, so she depicted the challenges my sisters and I were having. She understood the pressures of maintaining Dominican values, being the perfect daughter, learning English and remembering Spanish perfectly, and fitting in all at the same time. Her books were also a way I could learn more about my culture because her fiction is actually based on historical events. Up to that point, D.R. seemed like a far-away land and it wasn't a country I was learning about in school. Trujillo's regime, the unstable political climate, the men and incredible women who fought against the tyranny and injustice -- these are all things I learned about in her novels. "I write to find out what I'm thinking. I write to find out who I am. I write to understand things." So perhaps Julia Alvarez is not the best writer of the century, and maybe she hasn't won a Nobel Prize (yet), but there's no denying that she's incredibly talented. Her writing is captivating and beautiful, and the fact that she uses her talent to give voice to Latina characters is something we don't see enough. When I read her work, I see parts of myself in her writing. Fiction or non-fiction, novels or poetry, Alvarez does not go the easy route and write what the mainstream will gobble up -- instead, she chooses to highlight the lives and voices that are reflective of her own voice and so often ignored. I could only hope to be half the writer she is. "The point is not to pay back kindness but to pass it on." i like this post and this series - what a great idea. This reads somewhat strangely, as though "machismo" is some kind of hyper-sexism that only Dominicans face. I do not challenge the fact that sexism and patriarchy exist in Dominican society, rather that there is some special prevalence of it that would then explain Alvarez's feminism, or that she's lived so within this hypothetical macho Dominican society that she's never experienced US sexism. So, then, my question is...what is a "background of machismo"? Well I didn't mean to suggest that Alvarez has not experienced sexism in the U.S., or that machismo is unique to D.R., or anything like that. I was merely pointing out that considering how much of Alvarez's work is about Dominican culture and values, it's not surprising that she would tap into the machismo in that culture and explore the themes I mention (sexuality, gender roles, etc.). Does that make more sense? Or are we not understanding each other? Hmm...I have to admit Alvarez isn't one of my favoritest latina writers, or maybe I just haven't gotten that deeply into her work :/ it might be the latter...but, still enjoying this series. I feel so accomplished that so far I at least know of everyone you've talked about thus far :D how long is this going to go on? I am almost done reading The Brief Wondrous Life of Oscar Wao, by another Dominican author, Junot Diaz. There is something to be said for the writers that that island produces... Edwidge Danticat who wrote Brother, I'm dying (she's Haitan) is great too. The last profile of the series is going up on Friday. I still haven't decided if I'll continue these in shorter form and less frequently. They're an awful lot of work and some of them take a lot out of me, emotionally & mentally. I'd have to switch it up a bit so they're less exhausting but still good.